There are 54 Salvation Army clothes banks at Scotmid and Lakes & Dales Co-operative stores all over Scotland and in the North of England so it’s easy to donate and recycle your old clothing and textiles. When you do, the money raised will be split between the Salvation Army to continue its invaluable social welfare work and Scotmid and Lakes & Dales for investment into our communities! Items should be clean and dry. Don’t worry if they’re damaged because the textiles that can’t be reused, even underwear, can be recycled into items such as mattress stuffing, car soundproofing and industrial wipers! We’ve been overwhelmed by the money raised by these banks so far. So much so, that we are able to use this money as a separate grant fund which will exclusively benefit community projects near our stores with an environmental focus. 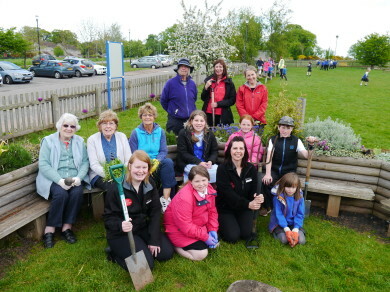 Abbeygreen District Hall in Lesmahagow was awarded a £1000 grant to help create a safe outdoor space for all local people to enjoy and to teach vital life skills to young hall users such as gardening, outdoor cooking and wildlife appreciation. The hall is used by a range of groups, however the grant application was made to Scotmid by the local Girl Guiding group, which includes the Rainbows, Brownies and Guides. Abbeygreen District Hall has recently undergone some internal renovation, however the grounds will require more work and, being very close to the edge of a river, the boundary needs fencing to ensure hall users remain safe. In Laurencekirk, the Mearns and Coastal Healthy Living Network (MCHLN) project also received a £1000 grant. MCHLN operates a gardening group which is a social and therapeutic group of 14 members who meet weekly to do meaningful gardening activities alongside other community groups. The funding will be used to purchase essential tools and equipment for the gardening group. Areas where MCHLN tend include a primary school, nursery, community garden, a sheltered housing complex, and planters at the train station and on the local high street. The project offers many benefits to participants, not least increasing community cohesion and recognising the contribution that older people can bring to their communities. 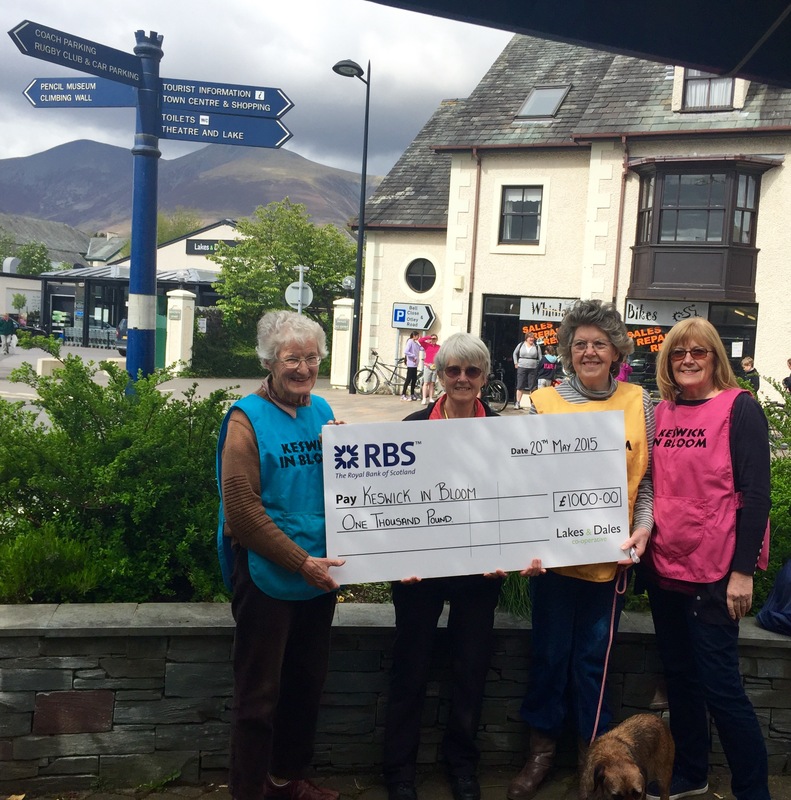 Our first grant in the Lakes and Dales area went to Keswick in Bloom, who were awarded £1000 to purchase materials and equipment for the upkeep of displays over the coming months. 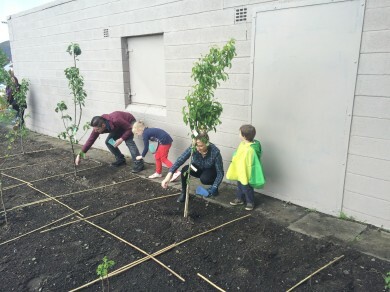 Established in 1993 as a voluntary organisation, the group has taken responsibility for the planting and maintenance of various tubs, towers, mangers and beds around the town. Planting takes place twice a year to provide fresh displays for Spring and Summer. Keswick in Bloom has over 20 regular volunteers who are mostly residents of Keswick, but also include regular visitors to the town who are happy to help. The group works closely with local schools and with staff at local parks, lending a hand with maintenance where required. Finally, Edinburgh Young Carers, which provides respite for young people aged 5 – 20 who have a caring responsibility for a family member, received an £800 grant for their garden project. They’re developing garden space so that young carers can enjoy more outside freedom, develop confidence and engage in a different skill set while giving them greater opportunity to socialise with their peers. The young people are also able to learn about planting and maintaining the gardens, while gaining a greater understanding of the natural environment and the importance of healthy eating and how this contributes to their own health and wellbeing. The project used the funding to buy garden tools and essentials and, most importantly, chairs for the youngsters to kick back and relax on after all their hard work – they’ve certainly earned it! 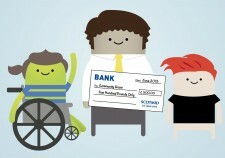 To apply for a Scotmid Clothes Bank Grant, please email us 200-300 words about your project and what help is required. Don’t forget to include your contact details so we can get back to you! Did you know that we have public access defibrillators in 43 Scotmid Co-operative, Semichem and Lakes and Dales Co-operative stores? 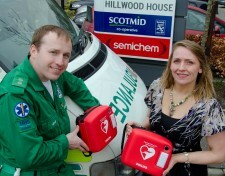 Take a fresh look at what else Scotmid is supporting in our communities.